It may be that four years of drought have raised our awareness, but it seems like everyone these days is trying to conserve energy. 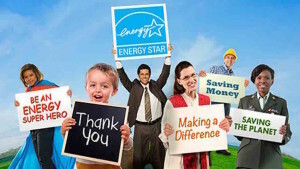 We get a lot of questions about ENERGY STAR, the program that was established in 1992 by the EPA. 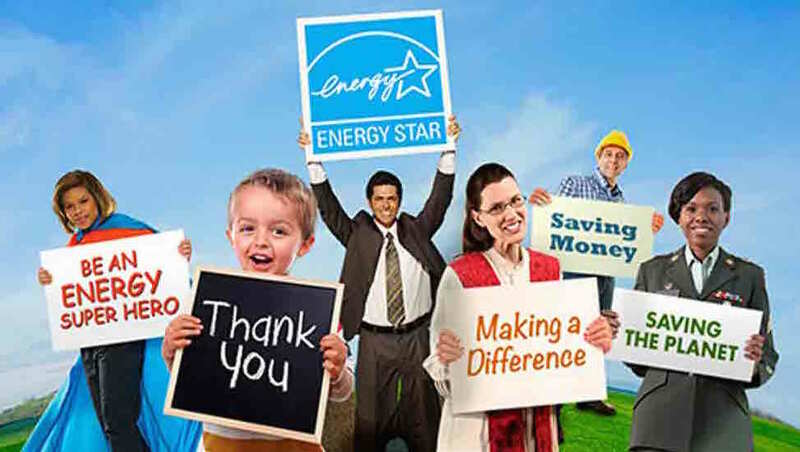 ENERGY STAR is a voluntary program for residential and commercial users that saves money and protects the climate through superior energy efficiency. For consumers, there are tips for greening your home, saving money on electricity, information on tax credits and rebates. There is also information on products that have been given the ENERGY STAR rating. This extensive list of products includes appliances, building products, electronics, heating and cooling equipment, lighting and fans. For each product category, the ENERGY STAR website provides an overview plus a comp chart of those products that have received the rating. Let’s take a look at washers: The average American family washes about 300 loads of laundry each year. With an ENERGY STAR-certified washer, you would be using about 25% less energy and 40% less water than with a regular washer. Oddly, when it comes to lighting, the site focuses on the more traditional ENERGY STAR incandescent lamps rather than on LED lighting. As we’ve mentioned in previous posts, LED is becoming the industry standard. For residential and commercial new construction or remodeling projects, Roberts Electric is consistently finding that LED is the lamp of choice for a variety of key reasons–a single LED bulb can last ten years or more and LED now comes in a wide variety of applications. Products earn the ENERGY STAR label by meeting strict requirements defined by the EPA. This year, there’s a new designation: ENERGY STAR Most Efficient 2015, recognizing products that deliver cutting-edge energy efficiency along with the latest in technological innovation. Advanced Clothes Dryers is a winner and will save you approximately 40% in energy and reduce carbon emissions by 40%. PG&E has been a long-time ENERGY STAR partner, helping customers save energy and money by offering rebates and incentives on energy-efficient products, benchmarking energy usage, and collaborating with manufacturers and retailers to sell more efficient products. PG&E was named the 2013 ENERGY STAR Partner of the Year/Sustained Excellence Award for the utility’s continued leadership in protecting the environment through superior energy efficiency. Take the Pledge is a self-motivated program for consumers, a commitment to make their homes more energy-efficient. There are 5 categories: Lighting, Electronics, Appliances & Water Heaters, Heating & Cooling, Seal & Insulate. In each category, you click on a box if you commit to purchase an ENERGY STAR appliance/product or replace your light bulbs with LEDs. The Pledge also includes smaller commitments that will save energy–changing your air filter regularly and sealing and repairing leaks in your duct system. The ENERGY STAR website is extremely well integrated and comprehensive. There are apps, tips and FAQs. You can use the Home Energy Yardstick to assess your home’s energy use and see how you measure up against similar homes in your area. With My ENERGY STAR, you can create your own ENERGY STAR account, with a dashboard and a 67-item to-do list. Items include choosing an ENERGY STAR TV, installing new (LED) porch lights, weather-stripping around windows and doors, etc. If all televisions sold in the United States were ENERGY STAR certified, the energy cost savings would grow to more than $620 million each year. Target and Staples won the Top Certifiers 2015 award—they have more than 150 buildings each that are ENERGY STAR-rated. 89% of consumers recognize the ENERGY STAR label, and the majority of consumers have a high understanding of the message behind the label. If you have questions about updates to your electrical system to accommodate new appliances or electronics as part of an ENERGY STAR home improvement project or remodel, call Roberts Electric @ 510.834.6161.